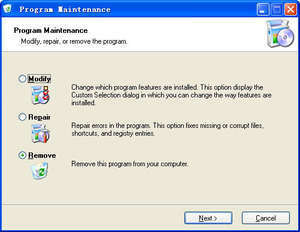 This extension for Inno Setup allows you to easily add "Repair/Modify/Remove" options to your installed applications. It is very small because use Assemble. Please read the readme file included in the package for further instructions on how to use UninsHs with your own application setups. Version 2.1.0.283 is a freeware program which does not have restrictions and it's free so it doesn't cost anything. For security reasons, you should also check out the UninsHs download at LO4D.com which includes virus and malware tests. Additional screenshots of this application download may be available, too.